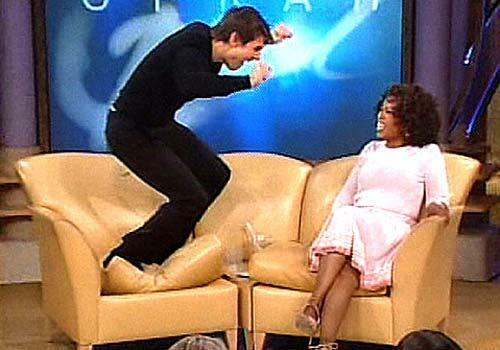 Oprah says: We get it, you're very happy! Me: Mom, what's your point? Her: Well - it's just that Tom Cruise was a good actor! That little exchange made me smile - and it made me think of the importance of "getting to the point" when it comes to writing. O' course, novels are longer than movie summaries! Still, the concept felt relevant. Here are three mistakes that can stop you from getting the point - and can therefore lead to reader impatience and that anticlimactic "...oh" moment. Avoid them, and you're in the clear! This is something we've all been taught - don't include it unless it matters. But sometimes, our own deep involvement in our story makes certain "extras" slip by. Whether it's a flashback, a run-down of a new character, or a whole scene, every part of a book should be evaluated: does this matter? Would it better fit under an "extras" tab on my future author website? Does it push the story forward? When you're writing a first draft and aren't yet sure exactly which story you're trying to push forward, it can be especially tough to do this. That's why having an idea, if not a set-in-stone picture, of what you want your end product to be can be so handy. Of course, that's what first drafts are for - getting it all down on paper and evaluating it once revision time comes around. Yay! When it works, detail works. It makes the reader connect with a character. It makes a scene that much more visceral. It makes the reader laugh and squirm. But details are kind of like candy, too - when there's too much of it, the reader feels bloated, tired and slowed down. Oh, Tom, you highly ka-powful man. Here's where you risk disappointing the reader and retrospectively causing that "...oh" moment. While reading, we tend to collect everything as important and part of a larger picture. I mean, just the fact that it's on the page injects it with this gravity, this sense of buildup. So when a main character spends a page telling us how they're scared of puppies (what! ), they should have to actually face that fear at some point. If not, we think back to that page and think "...oh" - or, if we don't quite remember it by the end, we feel strangely unfulfilled. Wasn't there something about puppies...? The flipside to all three of these mistakes is that when they're avoided, they create a story that is so swift, slick and engrossing, it's nearly impossible to stop reading. And at the end, everything ties together so well that the reader will bask in your genius! What are your techniques for getting to the point? Have a ka-powful day, everyone! 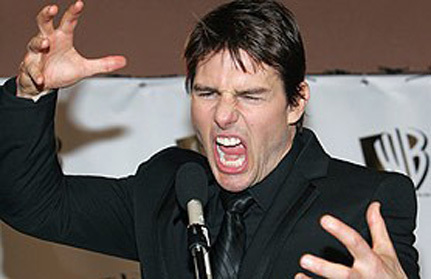 Tom Cruise: droppin science on fools since 1980 something. "Wasn't there something about puppies?" -- me after finishing every book no matter what. I once read part of my MS to a group of friends and realized as I was reading it just how bogged down in details it really was. While I had excused myself for any literary failures as it was just a rough draft, one friend still picked up on my overly detailed prose and continued to harass me for days. Whenever we saw something uninteresting (such as a street sign on one occasion), he'd describe it in excess detail. I wanted to kick him. I might have actually done it. I don't recall--suppressed memories and all that.